Call (269) 792-8080 Or Visit Premierboating.com Today For More Information & To Set Up An Appointment To View The 2019 Nautique GS20 Inside Of Our Indoor Showroom! 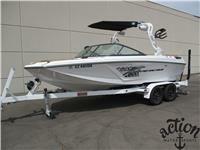 I am interested in your 2019 Super Air Nautique GS20 Wakeboard / Surf / Ski Boat and would like more information. Please let me know. Thank you!